There’s a lot of discussion about what HR’s role is in driving a company’s culture and improving employee engagement. Do they lead the charge, or is the CEO the one that defines what the culture is? In any company, the CEO sets the tone and defines the culture. In small companies, where the CEO is the founder, that is especially true. But even in big companies, the priorities and personality of the CEO permeates the organization, and while it may take longer, the company will come to reflect that. Vision, mission, and values. Not what they want them to be, but what they really are. 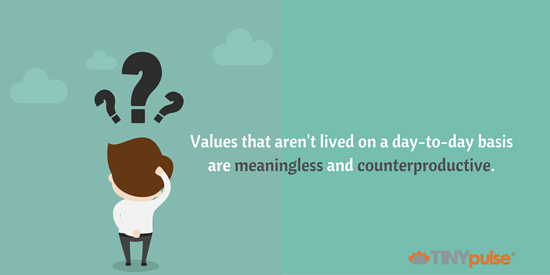 Values that aren’t lived on a day-to-day basis are meaningless and counterproductive. HR can guide the CEO and senior business leaders to make an honest definition of what is important to the company and be there to remind them when decisions contradict those values. Beyond that, make sure you understand what the values of the leadership team are. For example, if they don’t see any value in doing complex, complicated annual performance reviews, then don’t develop a process that goes against that. You’ll just be wasting your time, and you won’t accomplish what they want done. Ask a lot of questions if you’re unclear, and keep going back to them until you have the right balance. Maslow’s Hierarchy of Needs holds true. Employees’ basics need to be covered before they can do their best work. People need to be paid on time, the workplace needs to be safe and free of harassment, and they need to have the appropriate tools to do their job. While this is not the most glamorous part of the job, HR needs to make sure the basic needs of the employees are met before focusing on the next level up. Employee surveys are great ways for HR to find out about needs that are not being met. HR can and should do the due diligence to dig further to find out the root causes of issues and partner with the business leaders to get them resolved. HR leaders that don’t understand the needs of the business will never be seen as effective partners, and they’ll never have influence over the culture. How can you help develop an effective compensation and bonus policy if you don’t know the business goals that you're trying to drive? More importantly, how can you be seen a strategic partner if you don’t understand the growth plans of the organization and what the company will look like in one to five years out? You’ll be making decisions that might make sense in the short term but might cause problems in the long term. HR leaders are nothing without a deep well of trust from everyone in the company. This is sometimes a delicate balancing act because often times you’re privy to information that’s confidential. So how does an HR leader develop trust? Have impeccable follow-up: Whether it’s a project from the CEO or an inquiry from a part-time associate, you must have excellent follow-up. Do what you say you’re going to do and when you promise to get it done by. Gossiping also falls under this category. If you’re the one sharing innuendo and conjecture, then how do people know when you’re speaking the truth? If you’re asked for your opinion, make sure your response is thoughtful, reasoned, and ties back to the goals of the company. It’s OK to think outside the box and be creative, but just make sure you follow those guidelines. Your opinion won't be trusted if people feel that you are always out in left field. And have empathy. 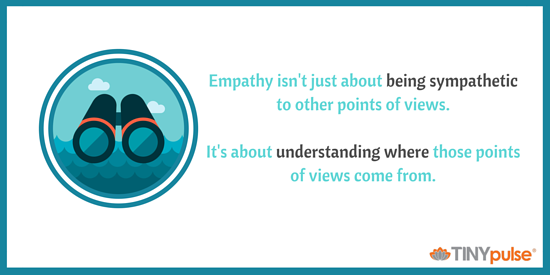 Empathy isn’t just about being sympathetic to other points of view. It’s about understanding where those points of view come from. If a manager is frustrated because it’s taking a long time to deal with a performance issue, you need to get into their skin and understand what they’re dealing with because of the performance issue. Maybe you can then help them develop a plan to get through until everything is resolved. As you can see, trust is a key factor in your ability to influence and drive culture change. Everyone needs to be sure that you care about not only the best interests of the company, but the best interests of the employees as well. HR leaders can be the drivers of an engaged culture if they’re clear on their role. A strong partnership with the CEO and business leaders of the organization is key. Once that is place, then you can go back to arguing about the chicken or the egg. 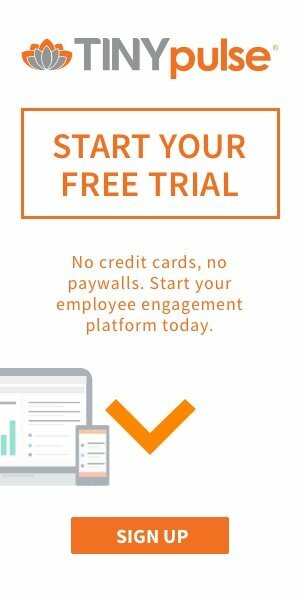 Who Owns Employee Engagement: Managers or HR?